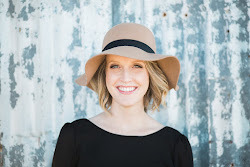 Formula feeding mamas...listen up! 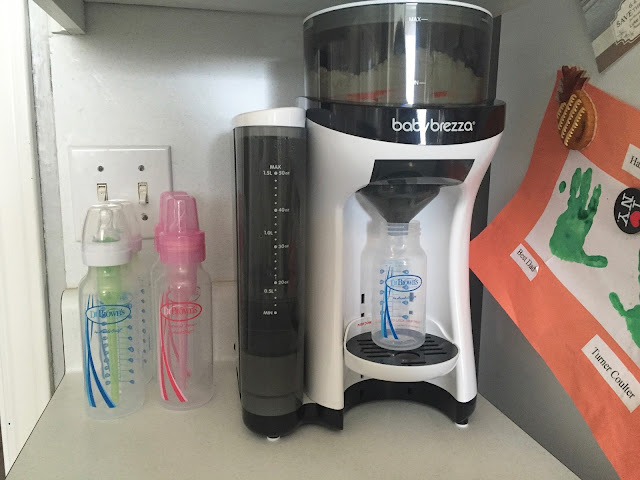 I struggled with breastfeeding twins, and decided after 2 weeks to switch to formula. Read all about it here. 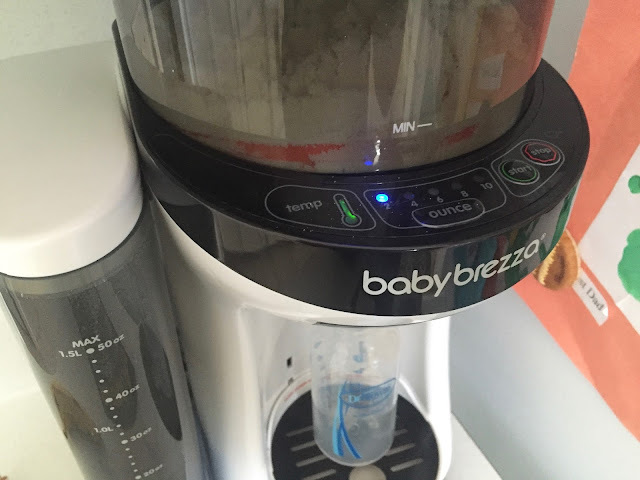 When I first heard about the Baby Brezza Formula Pro I was skeptical of how it worked, but after using it I'm completely sold! You pour water in the side, add formula at the top and you're done. The water is consistently warm, and all you have to do is push "Start" and it mixes a perfect bottle for you at the perfect temperature. No trying to measure out water, trying to heat it to the right temperature it in the middle of the night, no scooping formula out and trying not to miss the bottle and spill formula everywhere (this is always a challenge when you're holding a crying baby in your arms). All you have to do is literally push one button and BOOM...bottle made. You can choose between 2, 4, 6, 8 or 10 oz. bottles. 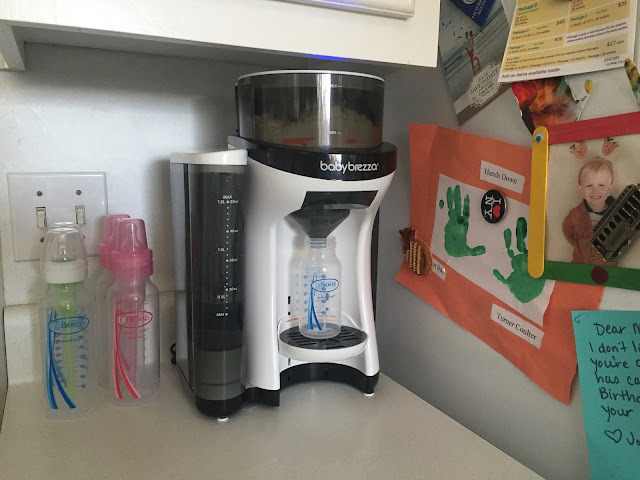 I have become completely spoiled after using this, and highly recommend it to any mom that is formula feeding...ESPECIALLY if you have multiples. This post is brought to you in partnership with Baby Brezza, and all opinions are my own. Thank you for supporting the brands I love! Nice machine. Hope you can easily make baby milk quickly without any hassle. Can you please share some resources for buying this machine.